Kitchen Innovation Solutions is a service exclusive to Pallas Foods customers to invigorate and assess your food offering with input from our team of culinary experts. Take the time out from your business and come to our kitchen to experience the full range of products available from Pallas Foods. From chilled, frozen and ambient to the widest range of kitchen and non food items available on the island of Ireland. Pallas Foods has an innovative solution for you to grow your business. In our Food Solutions Centres in Newcastle West (tel: 069 20200) & Dublin (tel: +01 4566550), we have two state of the art kitchens available. Both of these kitchens are built to replicate every cooking type enabling you to test and refine menus in a collaborative environment. We are committed to supporting local producers and growers on the island of Ireland. We also source from suppliers and growers throughout Europe and beyond. A visit to one of our KIS centres will highlight the complete range of our capabilities from sourcing, purchasing, warehousing and delivery. This is an opportunity for Head Chefs, owner operators and key business decision makers to innovate and refine their food and beverage offering. Pallas Foods always strives to bring our customers not only the best products for their business needs, but also to build long-lasting relationships through our customer service. Part of this service is by providing expert advice to you about your menu and food offering. To experience a K.I.S complete offering with our Pallas Foods’ Consultant Chefs, Simon Hudson and Colin Greensmith, book it today, contact your local Area Sales Manager. 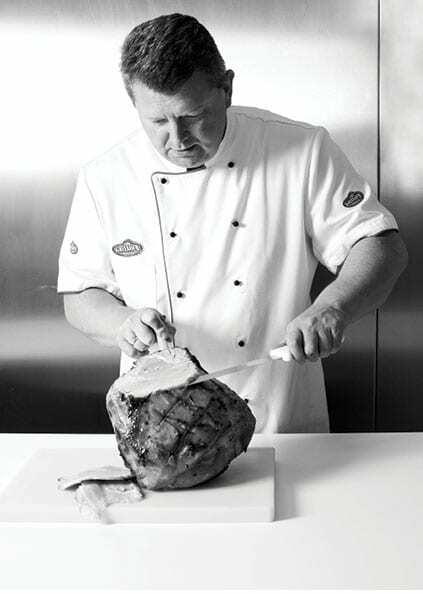 Colin Greensmith is a Cork CIT Professional Cookery course trained, always working in 5-star hotels and fine dining restaurants including Doyle’s in Dingle and The Mustard Seed in Limerick. The past 10 years with Pallas Foods I gained more experience working with chefs across the food service industry. Simon Hudson is a chef with over 30 years experience, from 5 star hotels, Michelin star Restaurants in London, and Executive Chef of Selfridges Dept. Store before moving to Jury’s Doyle Ballsbridge hotel then onto the 5 star Radisson St Helens before joining Pallas Foods. Patrick Clement is a Chef de Cuisine from Brittany, France. 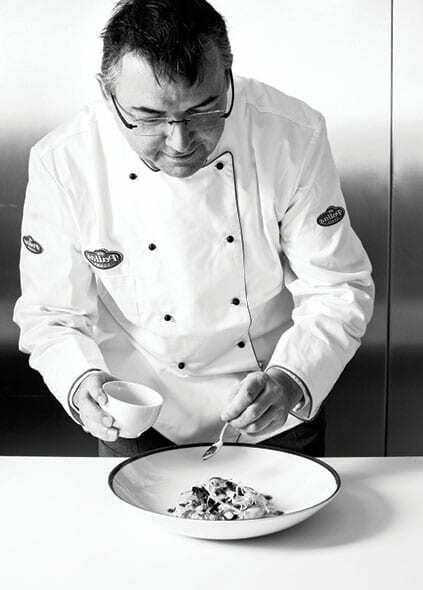 He has spent over 30 years working as a chef in Brittany, Paris, Germany and Ireland. 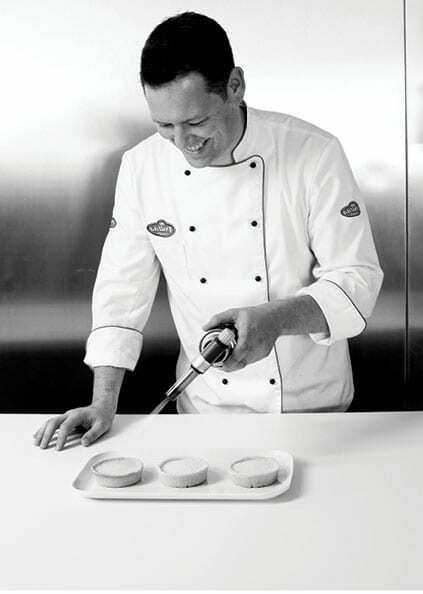 Patrick joined the Pallas Foods team 15 years ago and now heads the K.I.S Chefs Consultant team.